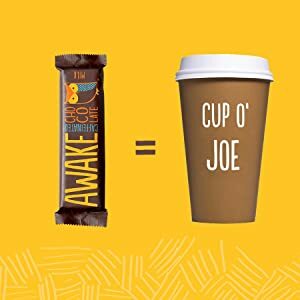 Here’s the deal—We’ve packed these delicious AWAKE chocolate bars with as much caffeine goodness as a cup of coffee (or a 250ml energy drink). Perfect for when you gotta get stuff done, and just don’t have the energy to do it. Energy to do more! How does it work? Available in 3 kinds of declicious… Milk Chocolate, Caramel, and Dark Chocolate. 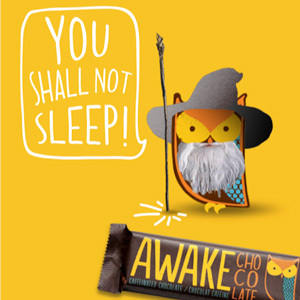 Each bar contains 100mg of caffeine. That’s as much as a small cup of coffee or 8.4oz energy drink. 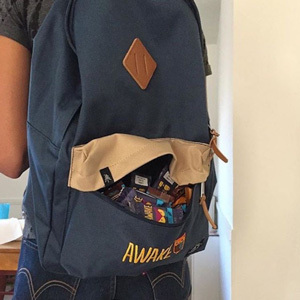 Our beloved bars fit perfectly in your backpack, desk drawer, shirt pocket, or even in a snazzy fanny pack. And, unlike coffee or energy drinks, you can’t spill AWAKE! Also available in bite sized and granola! 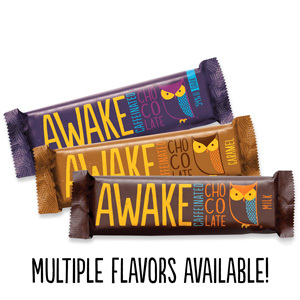 AWAKE’s founders, Adam Deremo, Dan Tzotzis, and Matt Schnarr met while working together for a large food and beverage company. Like a lot of people, they had pretty busy lifestyles and were often in need of an energy boost. The problem was that most of the options available to them didn’t taste very good. In fact, they tasted pretty bad. Tired of accepting the trade-off of bad taste in exchange for energy, they set out to develop a snack that would give them the energy boost they were looking for, but with truly great taste. Like, amazingly great. Soon thereafter, AWAKE was born. 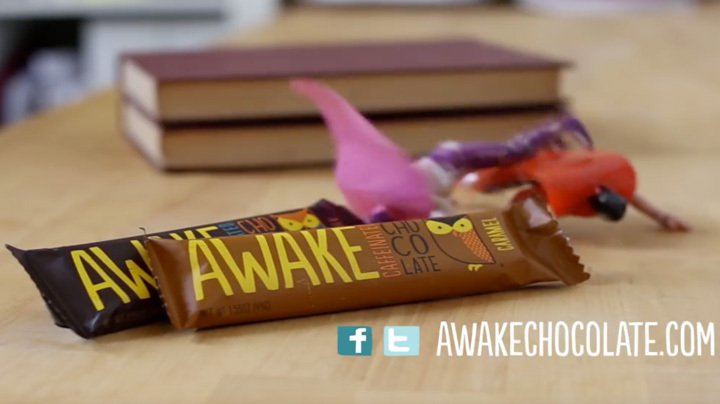 AWAKE’s proprietary ingredients and production processes deliver the best tasting pick-me-up there is. 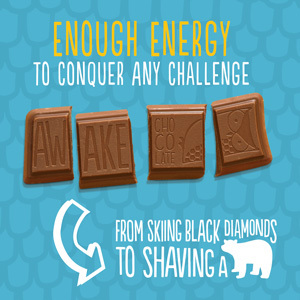 You get only what you want: the energy boost of caffeine, with the deliciousness of chocolate, or mouthwatering granola. That’s it. No bitterness (like coffee). No funkiness (like energy drinks). No need to settle for things that don’t taste great. Oh, and it’s gluten free too. Being embraced by our consumers. We started the company to give people a truly enjoyable option for their energy needs, so they could do more of the stuff that matters to them. Hearing stories from consumers about how AWAKE enabled them to get stuff done is incredibly rewarding.